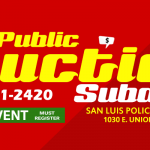 The San Luis Police Department is updating and launching a new website which is expected to be more accessible to information and easy to use. With this update, online visitors will be able to access additional information pertaining to case incidents, release of property and evidence, impounded vehicles, upcoming events, and programs available free of cost to the community. The website will also have information regarding police programs such as the explorer program, police reserve program, police volunteer program and even apply online for open job positions in the San Luis Police Department. 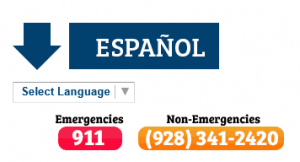 The SLPD website will have a feature to display the content in Spanish. To display the website content in Spanish, the user will select the language option on the top, right-hand corner of the webpage. The public will also be able to sign up for media releases sent out periodically by the department. If you would like to receive our media release by e-mail, please subscribe here.